"In the election, all these major discouragements to investors were targeted for reform. And by correctly identifying their causes, improvements to prospects were placed within reach," he wrote then. One could not fault the optimism that Robertson and many other Zimbabweans had following the change in government after 37 years of Robert Mugabe's rule and economic ruin. "As a starting point, total spending is to rise by 47%, even though revenue is expected to increase by only 17%. Borrowings to fund the budget deficit will have to increase by 44,6% to $4.1bn. Government expenditure proposals, therefore, do not support the assurances offered at the beginning of October," said Robertson. On the Public Sector Investment Programme figures, the Budget shows that the capital spending will come to only 18,4% of total expenditure, instead of the promised target of "more than 25%". "So far, government has failed to resolve the difficulties, but it is not clear whether they want to. It suits them to sustain the 1:1 exchange rate for privileged individuals, who have priority rights because of who they are, or what they import." According to Robertson, current conditions certainly contradict the central bank’s claims that "signs of sustained recovery" are evident. "On the contrary, the viability of many businesses is in doubt and the formal economy is a fragile state. 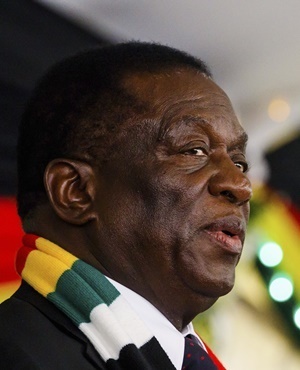 All of these have called into question the government’s frequently repeated claim that the New Dispensation is going to drive the country in a new direction."